In 2015, Greens are targeting a number of seats across the UK. With this in mind, I thought I’d do a quick series of profiles of the candidates in these seats. First up, on the eve of the Scottish Green Party Conference, Peter McColl Scottish Green Party candidate in their national target seat, Edinburgh East. I first met Peter McColl at the Edinburgh University freshers’ fair in 2004. He was a postgrad at the time, running the Young Greens stall. I was a fresher, and a member of the party at home in Perthshire. I offered to help. It turned out that Peter was a familiar face around the campus – in 2001, he’d been elected Vice President Representation of the Students’ Association, and he’d been involved in running the People & Planet society and the Student Christian Movement group – in pushing the university to divest from the arms trade and become one of Britain’s first Fairtrade institutions. At the time, alongside his Masters, Peter was working for one of the Green MSPs – Mark Ballard, and I’d often pop into their office in the Parliament to help with something or other. When I did, I was always amazed by both of them – having detailed conversations, from their copious memories, about specific election results in New Zealand in the 1980s and 1990s; discussing the exact details and implications of a vast range of pieces of legislation. The two men, Mark and Peter, developed a reputation at the time as the brains of the party, and it’s no surprise. On more than one occasion, I’ve met people who’ve told me that they had a conversation with Peter about the detail of their PhD research, and discovered he knew as much about their subject as they did – from medieval theology to Middle Eastern politics; macro-economics to sociology. In some ways, this sort of knowledge makes him no more than a bog-standard super-wonk – able to digest, process and remember huge amounts of information at phenomenal speed. But this is to misunderstand him entirely. Because, in his younger years, Peter – who grew up in Belfast – was an enthusiastic rugby and cricket player. He saw Oasis before they were famous – in a rammed pub on a Saturday night in Belfast before he was old enough to drink, and has a long running fascination with pictures of oversized mammals. In 2006, a group of us decided that we wanted to get Mark Ballard, Peter’s boss, elected to be the rector of the university (chair of the board of governors). Boris Johnson and Magnus Linklater threw their hats into the ring too. But Mark won with a descent majority, and appointed Peter his assessor – in effect, deputy. 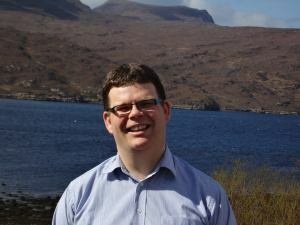 After Mark lost his seat in 2007, Peter moved to work at the Scottish Council for Voluntary Organisations, where he spent maybe too much time talking politics with the prominent SNP left-wing intellectual, and fellow SCVO employee Stephen Maxwell – who had significant influence on his thinking. Having left Parliament, he had more time to get involved in community politics in Portobello – Edinburgh’s seaside urban village where he lives with his partner. Activists in the area – including Peter – had been involved in a local campaign to stop a Tesco moving onto a vacant lot, and instead pushed for the first urban community renewable scheme in Scotland. 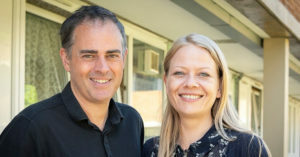 They successfully saw off the supermarket, and founded a community transition group – known as PEDAL (Portobello Energy Descent and Land group). A couple of years later, a waste transfer sight was proposed in the area, much to the anger of the local community. At the official inquiry, the developers employed an expensive legal team headed by a senior solicitor. The local community was represented by Peter in his best suit. The Solicitor went home with his tail between his legs. Throughout this period, the Transition movement which Peter and his neighbours had been involved with in their area was booming across the UK, and the groups north of the border got together to form “Transition Scotland” – which elected Peter as its chair. He was, at the same time, co-convener of the Edinburgh Green Party. In 2010, we founded Bright Green, of which he is still a co-editor. 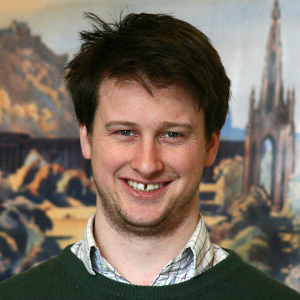 In 2012, students at Edinburgh were looking for a rector again, and I got a phone-call from the then president of the Students’ Association to talk about their options. The student union at the time was largely run by activists who had been involved in and radicalised by the tuition fee protests of 2010-11. I started listing some well known people who might be willing to take on the work load. But then he paused and said “well, I have an idea I want to run past you”. “yes?” I asked. “We think that the left at the university is powerful enough at the moment, we can get anyone we want elected.” “ok, so who do you really want? Who do you actually think would be best for the job?” I asked. “Well, we had a conversation, and the best person we can think of is Peter. What do you think”. I heartily concurred. In the end, no one ran against him – I know of one other potential candidate who thought about it, but decided there was no way they’d win. He was returned unopposed and has been deeply involved in the university ever since – using the role to help set up the UK’s biggest student housing co-operative, and support students campaigning on everything from university funding to fossil fuel divestment. He was the opening speaker at the first Radical Independence Conference, and spoke in numerous debates through to referendum – both face to face, and on TV. In 2010, Edinburgh East was one of the best seats for the Greens in the UK. But that’s not saying much: the party got just over 5% there in what was, apart from in Brighton, a bad year for Greens. Since then, though, the referendum has happened. Scottish politics has transformed utterly. 47% of people in the seat voted yes, which is a serious problem for Labour MP Sheila Gilmore. Perhaps more significantly, the Scottish Greens have trebled in size since the referendum, and are now around 2/3 of the size as the Greens in England and Wales were when Caroline Lucas was elected in 2010. With Edinburgh East as their national target seat, it would be surprising if the party didn’t make a significant dent. Likewise, Peter is an excellent candidate for the constituency – he’s Rector of the University, which largely sits at one end of the seat, and a well known activist in Portobello, at the other end of it. These things bring some votes. But perhaps more importantly, they bring significant reach into the city’s now lively activist base. 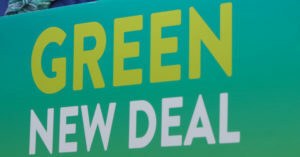 A few weeks ago, a prominent student campaigner at the university – not a Green member – asked me who the candidate was. When I told her, she said that she would ‘campaign every day for months’ for him. Is it possible? Yes. 400 people showed up to the first Edinburgh Greens monthly meeting after the referendum. They are largely street-hardened activists. If they stay involved, and focus on the prize, that’s a much bigger team than is normally needed to win an MP. Is it likely? No. It’s a hell of a hill to climb. But. And there is a big but. There has been serious speculation about the SNP standing down in the seat in exchange for the Greens giving them a free run at a few of their key targets. From their perspective, they are never going to win every MP in Scotland. If they can do something to make it more likely that one of the other seats is someone else who supported independence, if they can ensure Scotland sends to Westminster a delegation of MPs which represents the diversity of the Yes campaign, then this will be helpful to the thing they care about most – securing more powers for Holyrood. If some kind of deal is done, then there will still be a hell of a lot of work to do, but I would say Peter will have, shortly before his 35th birthday a better chance than anyone else in the UK of becoming Britain’s second Green MP.